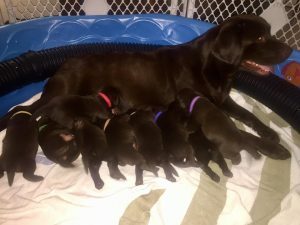 Copy and Roxy had 9 puppies! 4 females and 5 males. Born 9/13/2016. They are 2 weeks old and doing great!